brado doesn't have a personal statement currently. 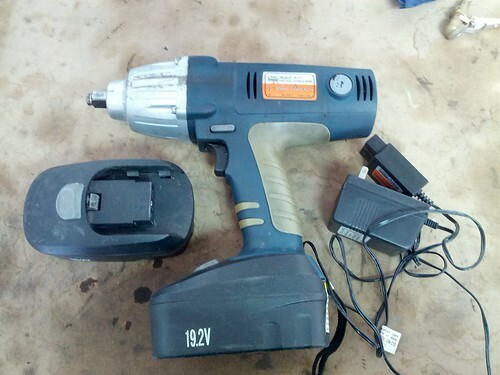 First up is a Harbor Freight Impact gun I've used for the last few years to change tires. Still works great. I splurged and upgraded to something bigger. Comes with 2 batteries so you are never stuck without a charge. $50. 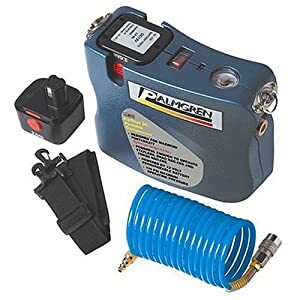 The air hose blew out long ago so mine will come with a Harbor Freight (noticing a trend here?) replacement 1/4 inch hose that is quite a bit longer than the original. I also doubt I have the shoulder strap. But I do have the 2 batteries and the charger which is not in that picture. Amazon Product Page here. Mostly positive reviews. It worked fine for adding a few pounds to a set of 225/15s quickly. It would not fill up a whole set from 0. Paid $40, yours for $20. The last set of tire I got for the sentra were Hankook RS2s on close out for $50 a tire. I assumed that would be the last set of tires for that car. But it stubbornly has refused to die and is in need of a new set of tires. A new breed of course worker? "Which cone is out of the box?" Not quite a race car but a good daily driver. Expect a discount if you keep me from having to deal with craigslist crazies. Other users have left no comments for brado.